September 2nd was the move in date for our daughters! Finally, after almost two months from finding out about them, they were home. Our social worker came over, and we filled out mounds of paperwork making it all official and legal. The most important papers I remember signing were the actual placement papers. Each child had a set, and I carried it around with me practically everywhere. Those papers told the world, doctors, dentist, schools, and everyone else that these were our girls! Our oldest turned five a few days later, so we got to throw our first birthday party as parents. Let’s just say, I was a BASKET CASE. 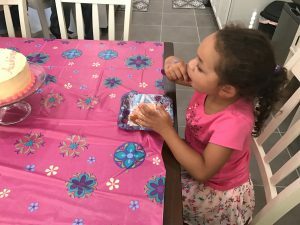 She loved her Elsa party. The next day, we drove the girls back up north to have their final visits with their birth family. Two grandparents showed up to the visit. It was a frightening ordeal for everyone involved. I was terrified, not knowing what to expect and not knowing how everyone would react. It was the most difficult thing ever for the grandparents, not knowing if they would ever see their grandchildren again. I took pictures of the girls for the grandparents to have, just in case. At that time we didn’t know what our relationship. The girls’ reactions were shocking. It was like I had three completely different children. It was not a positive change. Throw in a round-trip 7-8 hours in the car… it was a very rough day, to say the least. 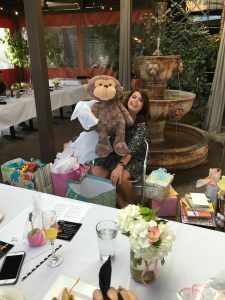 We were also blessed with another amazing adoption shower! It was so sweet to have a shower with everyone able to see the adorable faces of our girls. The women in the Black family spoiled us! Placement and those first few months are full of the highest highs and some low lows. It is hard on everyone: the girls, Luke and I, and our families. One of the hardest things for us was navigating how to become our own family, while including our closest friends and family. Everyone was so happy for us and excited to meet and love on the girls. The girls, however, didn’t react well to meeting new people because they, of course, needed time to get to know us and adjust. We jumped in too quickly and had to back pedal a lot. Our families were confused and a little hurt. 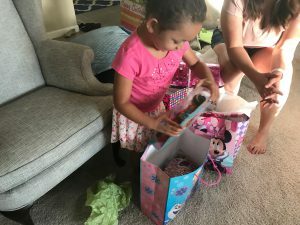 Finally, we did what we should have done from the beginning, we wrote a letter explaining what was happening, why it was happening, and what they could do to help the girls transition. It really helped! 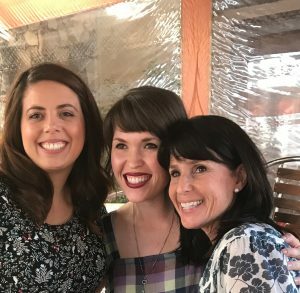 Anyone navigating foster care or adoption for the first time, I would strongly suggest writing a letter to help friends and family understand what is happening. Take as much time as your new family needs to bond with each other alone. It is super important and only YOU can know how much time you need to accumulate and when your new kiddos will be ready.